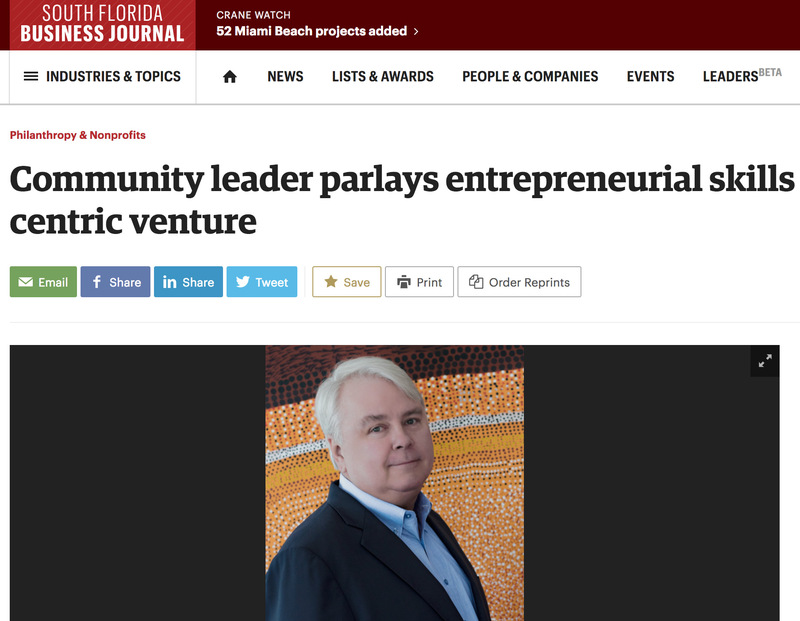 Dennis Scholl has seemingly fit multiple lifetimes into just one, parlaying a career as a lawyer to multiple entrepreneurial ventures, ranging from real estate to wine, and most recently, helping to pioneer South Florida’s evolution into a cultural destination – again. Scholl served as vice president of the John S. and James L. Knight Foundation’s national arts program between 2009 and 2015, where he deployed almost $200 million to cultural initiatives. Starting in September, the community leader will replicate his influence in the arts under a new title. The Oolite Arts, a nonprofit organization devoted to advancing contemporary visual arts culture in the region, has appointed him president and CEO. Founded in 1984, the ArtCenter’s growth was recently capped off by the sale of its landmark building on Miami’s Lincoln Road. At $88 million, the transaction lends the organization significant influence as a philanthropic force. “I knew this was a once in a lifetime opportunity to help our visual arts community,” Scholl said. A lifelong patron of the arts – the collection he shares with his wife, Debra, contains more than 1,000 pieces – Scholl first discovered a passion for art philanthropy fewer than 10 years ago, at the Knight Foundation. But his gift for channeling capital to fueling growth can be traced back to his days as a real estate pro. Scholl is among those credited with revitalizing South Beach, one of Miami’s most iconic neighborhoods.